I can’t believe how good this is! Don’t let the cutesy visuals throw you off. This is not a show for kiddies. I just finished watching Season 1 on Amazon Prime, and I’m digging into the manga as we speak! The story centers around Riko, an aspiring cave-raider, and Reg, a robot boy who has lost his memory. The titular Abyss is a massive hole in the center of an island. No one has been to the bottom, and generations of explorers have tested their mettle against the trials found within it. Riko burns to reach the bottom of the Abyss and hopefully find her mother. The world building is astonishing. 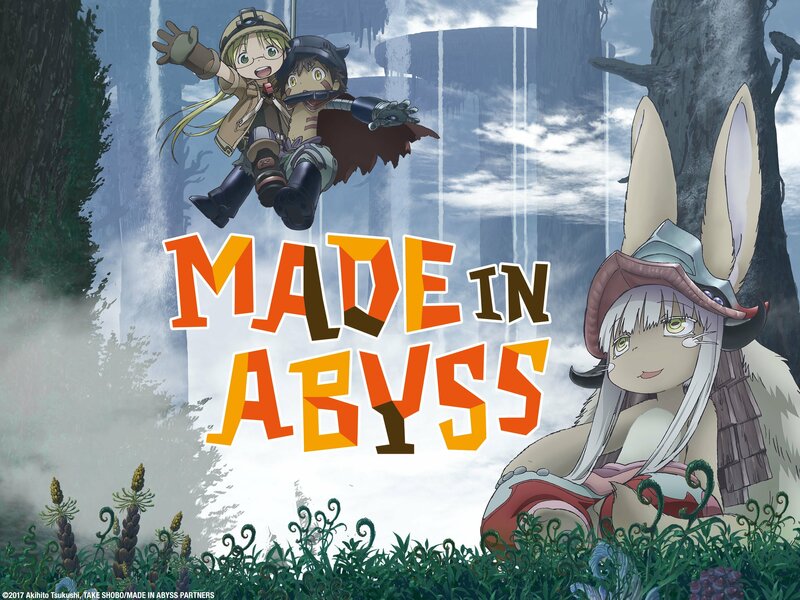 The anime drips with lush visuals of the interior of the Abyss – strange plant and animal life; an upside-down forest; mysterious relics of unknown origin and powers. My co-author Julia likes to talk about ‘mystery boxes’ we leave to tantalize the readers. Well this story is rife with them, each one of them egging you on to dive deeper into the Abyss. Getting back to the world building. The city around the Abyss grew up in the margins of the island, perched on the edge of a bottomless pit. Needless to say, space is at something of a premium. Look at this! Again, Made in Abyss is definitely not a show for kids, despite the cute character designs. (Without too much spoiling, I think I can mention elective amputation, mercy killing, and robot penises.) Please give it a look if you’ve got a free half-hour to kill, I think you’ll find the story incredibly layered and engaging.